PRISONERS’ JUSTICE DAY, in remembrance of all who have died behind bars. 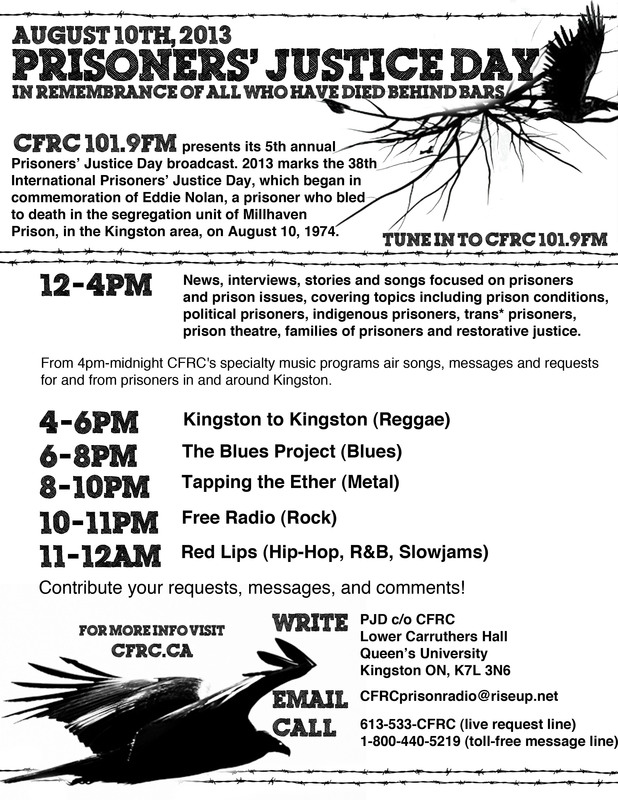 Tune in for news, interviews, stories and songs focused on prisoners and prison issues, covering topics including prison conditions, political prisoners, indigenous prisoners, trans* prisoners, prison theatre, families of prisoners and restorative justice, along with loads of music and requests covering genres from reggae to metal. Please contribute your requests, messages and comments!